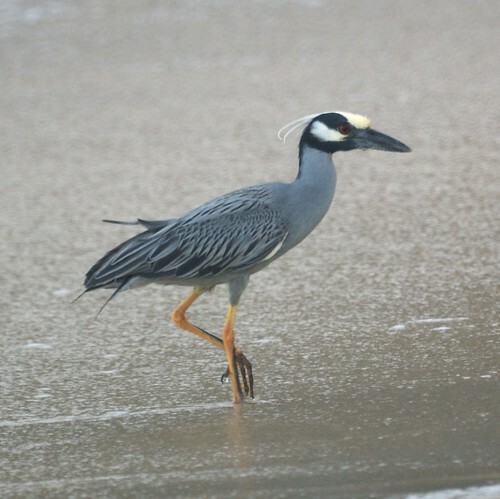 A Yellow Crowned Night Heron arrived shortly after sunset every evening in Grenada and walked along the beach catching fish and crabs. If anyone strolled by taking an evening walk, he'd screech loudly and fly to the roof of our cottage. While usually this happened early in the evening, one night he woke us screeching and landing with a loud thud. We took this photo early one morning before he flew off for the day. Now that we are back in NJ, we are awaiting the return of our black-crowned night herons. Last year we saw our first one in the last week of March so we are hoping to see it return soon.